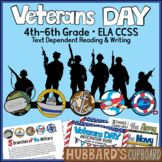 Also included in: Seasonal Bundle for Grades 4-8 Reading & ELA ~ Bundle Palooza @ Lovin' Lit! 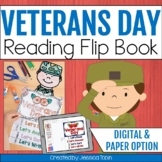 Also included in: Flip Books Bundle for the Year - 20 Flip Books! 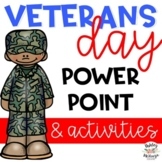 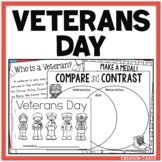 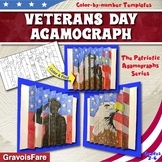 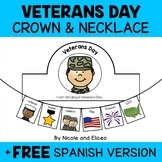 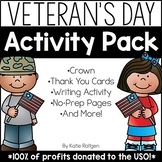 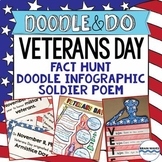 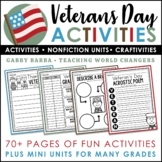 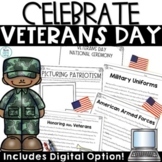 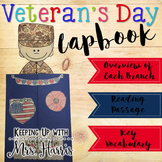 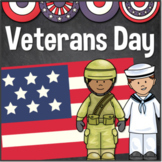 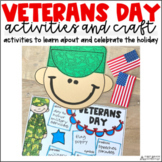 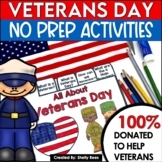 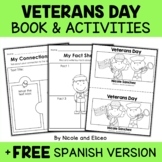 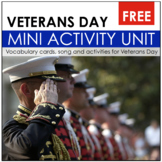 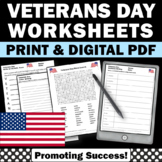 Veterans Day Activity Unit Includes:Veterans Day PosterVeteran Song Vocabulary Cards Veteran Description SheetNon-fiction story with comprehension questions) Updated to include high-resolution photos! 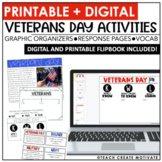 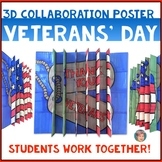 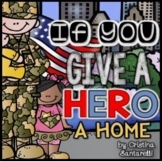 Enjoy using these activities with your students and remember to honor our military heroes!